Williams Chase was at the forefront of the new spirit revolution, and this small batch vodka couldn’t be more English: distilled from English spuds and flavoured with the smoky essence of English oak. Smoked booze isn’t to everyone’s liking, and its uses for mixing are limited, but anyone intrigued enough should serve it neat with ice for a new taste experience. 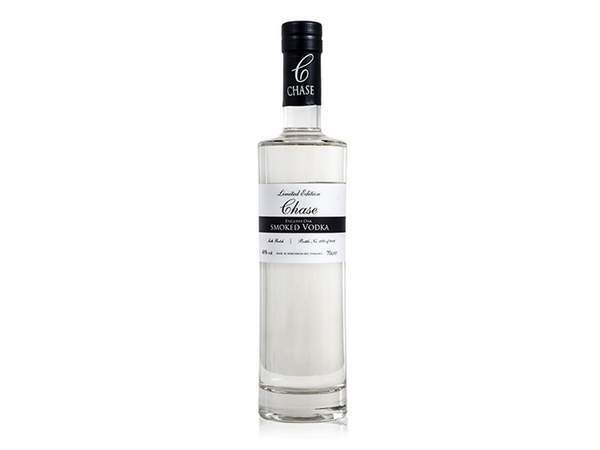 It’s a smooth vodka with a wisp of smoke, a peppery bite and an oaky bitterness that adds an extra depth to the booze and matches well with a simple platter of cheese or cured meat.